Proudly manufacturing the finest sweatshirts on the planet for over 42 years. Kellsport sweatshirts are recognized as the highest quality available in the industry. 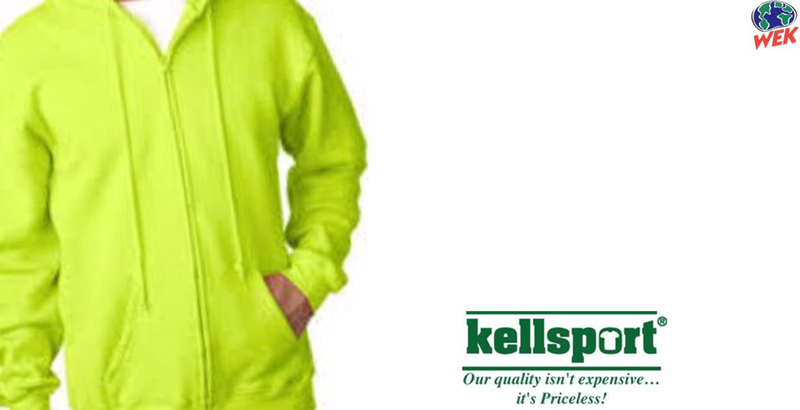 Kellsport brand clothing is requested by more utility companies throughout the country than any other brand. Construction companies, home builders, electrical and plumbing trades, landscapers and tree companies, all require serious heavy duty workwear for their employees and corporate gifts. The Kellsport rugged clothing line includes heavyweight hoods, zippers, crewnecks, thermal-lined kangaroo pockets, and 100% Cotton Sweatshirts, all proudly Made in U.S.A.
Sweatshirts proudly crafted in U.S.A. Our sweatshirts will be your favorite for the next 10-15 years. That's a promise . New Color Safety yellow has been added to all 18 oz. heavyweight sweatshirt styles. New Wek Short Sleeve Sweatshirt made with 100% cotton has been added to the Wek line. Kellsport also manufactures the Wek line of cotton clothing. Wek shirts, pants, and shorts are made from 100% cotton twill fabric. People that wear Wek, love Wek. We hear all the time from customers that have had the same Wek clothing piece for 20+ years. It's soft, garment dyed, and wears like iron. The Wek Wekender 2-button long sleeve shirt is the most popular style. Many Kellsport heavyweight sweatshirts are now available up to size 5XL. Join our mailing list at the bottom of this page for sale discounts. When we say that Kellsport sweatshirts are Made in U.S.A., we mean it. 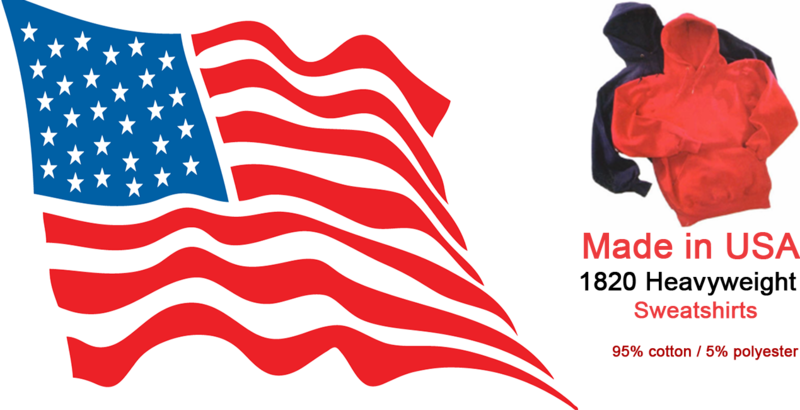 Every component in our garments are from an American manufacturer. We are passionate and committed to the American worker, and American manufacturing. Many of our competitors are claiming "U.S.A made" when in fact they are using fabric from China or some other offshore country. Some are even claiming "North American Made", which means they are made in Mexico, Guatemala, or Canada, still with imported fabric, primarily from China. The sweatshirts that you get from us start with cotton grown in the United States, spun into yarn by a local spinner, knit in our own factory, dyed by an American dye-house, and finally cut and sewn into wearable clothing by well paid sewing machine operators in our own factory. Some have worked in the Kellsport mill for over 30 years. Our zippers, drawcords, elastic, labels, buttons, grommets, and sewing thread all come from domestic manufacturers that make the product in America. Not a single component that we use is imported. That's what we believe in, and we're proud of it. Made in U.S.A.